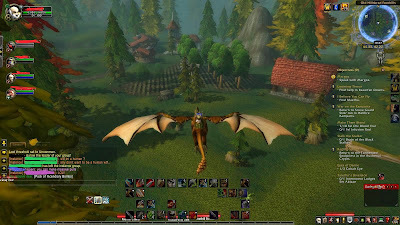 I loved this instance in TBC. I played an undead rogue, so I always imagined this instance to make him look how he looked before his death, which was a bald guy with a ginger moustache. I imagined the conflict he must have felt living in the skin and the life he worked so hard to push away in his new undead life. The temptation to remember was great, and painful for him. It also inspired me to make a human alt on another server with that look for him. Fun sources for story-emerging stuff, these time-travel instances.